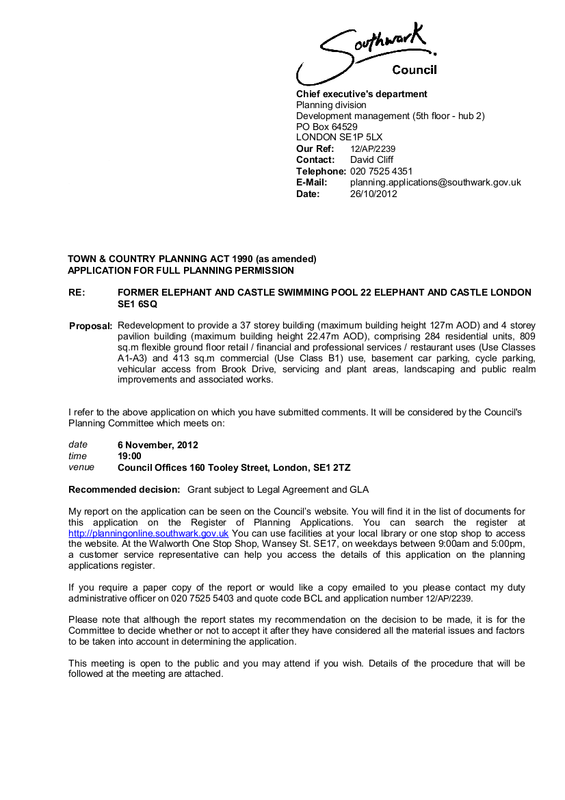 In their first two detailed planning applications for the Elephant regeneration Lend Lease propose building 8 social rented units out of a total of 519 homes (Heygate Phase 1 - 235 units & St. Mary’s Residential - 284 units). The St. Mary’s residential planning application is due to be considered at the planning committee meeting of 6th November and will have no affordable housing of any kind details here.. Nor will Lend Lease be making any contribution to affordable housing offsite. Instead £3.5m is going towards building the new leisure centre that was dropped from the original Regeneration Agreement. Lend Lease is forcing Southwark to take the contribution towards the new leisure centre in lieu of social housing. The cost of this social apartheid makes the scheme financially unviable. Unsurprisingly Lend Lease’s solution is not to build any social rented or affordable housing! A more obvious solution would be to have a single access point, a single lift shaft, a single lift for all the tenants and residents of St. Mary’s residential. Tenants and residents mix happily on the Newington estate on the Rockingham estate and on every other estate at the Elephant and we don’t need Lend Lease introducing residential segregation into our community. We can now begin to see what vision the developers have for the new Elephant and Castle - one that doesn’t include any social tenants. 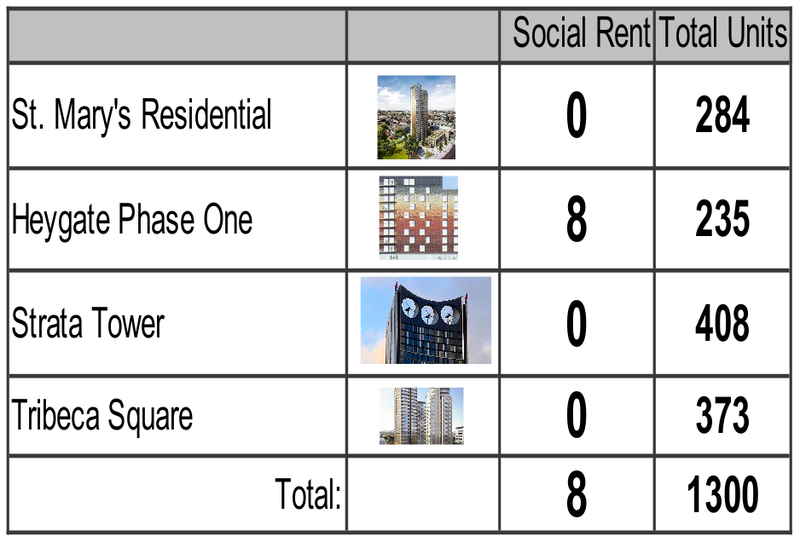 Strata Tower and Tribeca Sq (Oakmayne Plaza) both got planning permission without social rented homes. If they are joined by St Mary’s and Heygate Phase 1 that will be just 8 units out of 1,300. It is not too late to lodge an objection to these inequitable applications. East Walworth By-election - a chance for our local politicians to prove where they stand. The polling date for the East Walworth by-election has just been announced for 29th Nov. This is a chance for the Liberal Democrat and Labour parties to really show how much support they have for affordable housing, by standing candidates who will speak against the Lendlease planning applictions for Heygate Phase 1 and St Mary’s Residential. Both applications will be heard soon after the by-election. The Heygate phase one application has sparked a war of words between local MP Simon Hughes and council leader Peter John.